If you like a cool and relaxing racing game, Y8 free games has the perfect one for you. 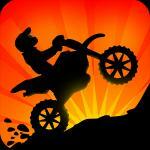 Check out Sunset Racing at Y8 game online for free to experience the romantic race. Drive towards the beautiful sunset in this new racing game. Unlike other racing game, this one will allow you to lay back, relax and enjoy the ride rather than take part in an intense race. The game design resembles the 80s style and has a retro feel as well. While driving in the magnificent scenery, don't forget your main task. You will see that there are three lanes on the road. Your task is to control your car to switch back and forth between those lanes in order to collect the gems and coins along the way. Although it is a relaxing game, a stable speed is important to reach the finish line first. Try to drive at a stable speed and use the booster in time. There is an obstacle that you should pay attention to. There will be many skulls that appear unexpectedly when you are driving. Try your best to avoid all of them. Should your car touch those skulls, your speed will slow down and you will lose one of your lives. Other than that, this game online y8 is relaxing, easy and interesting to play. Instruction: control with arrow keys.